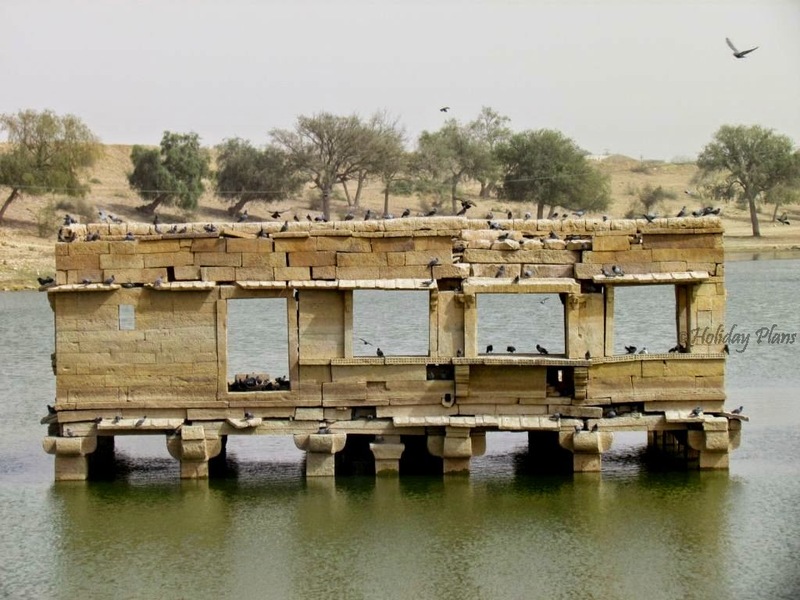 Home » Bajre ki Roti » Besan ke gatte » camping » Canon Point » Golden City » Jaisalmer » Laxminath Temple » Mirchi ke Pakode » Patwaon ki Haveli » Pyaaz ki Kachori » Thar Desert » The Gadsisar Lake » World Heritage Site » Jaisalmer – The Golden City! 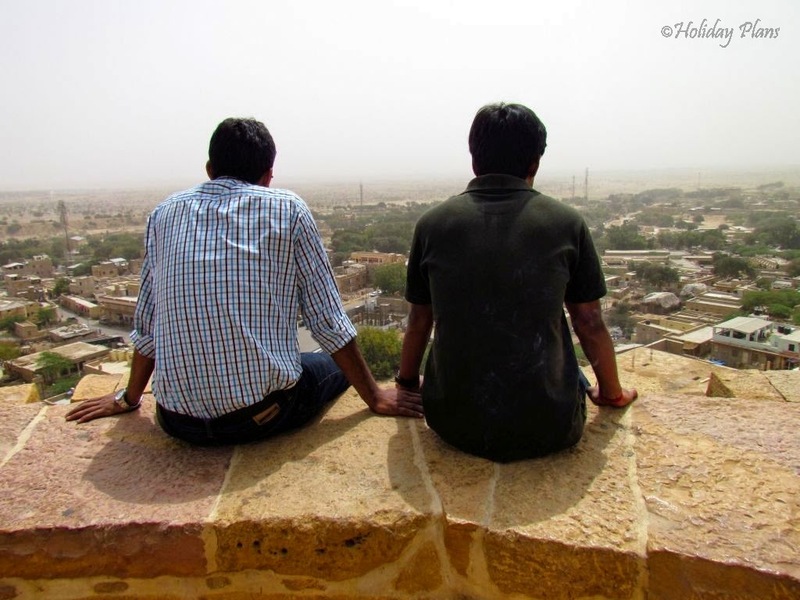 Jaisalmer – The Golden City! The feeling of camping in the mid of the Thar Desert was still fresh in my mind! 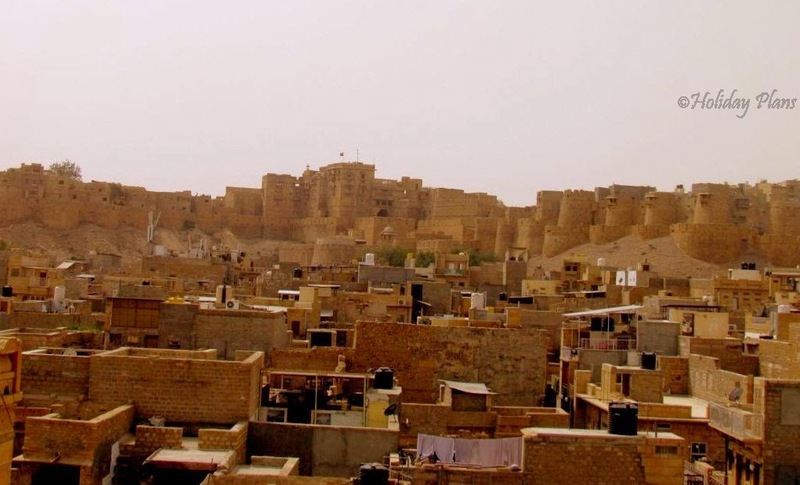 The following day I had planned to visit “The Golden City of India – Jaisalmer”! We did our breakfast in the camp itself and left for the city. All of us were tired a bit because of the late night “chats” we had in the camp gazing upon the sky , so we took some rest in the hotel. 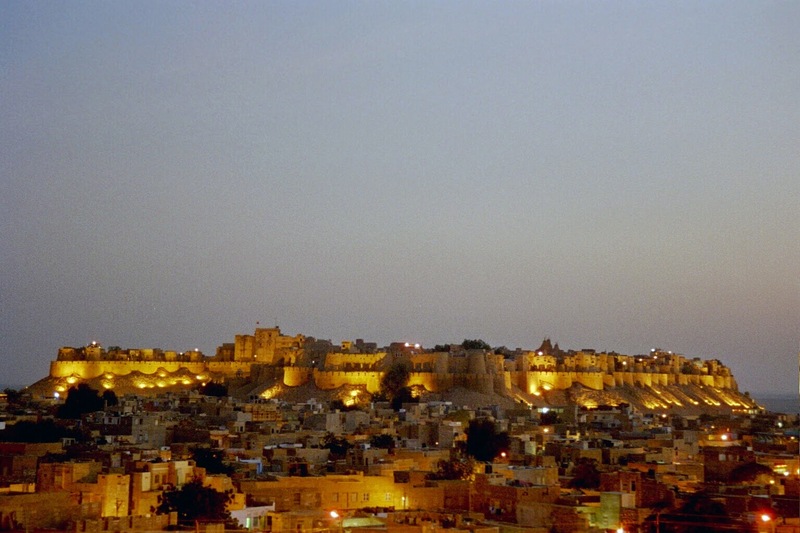 As we embarked upon our journey to this wonderful city, we arrived at our first stop - The “Golden Fort of Jaisalmer”. 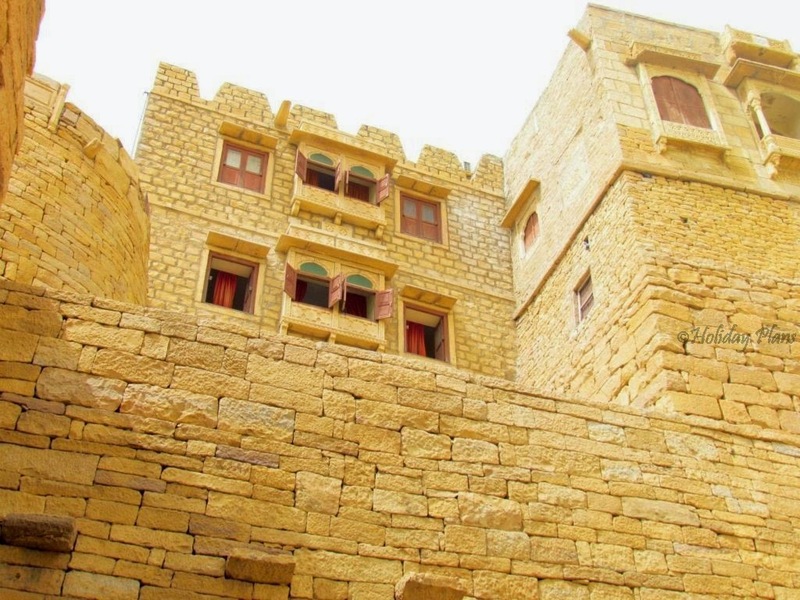 It is because of the color of this very fort that Jaisalmer got its name of the “Golden City”. Also , this “golden” trend is emulated by every building of the city which further justifies this name of the city. On inquiring more about this “trend” from our driver, he furnished us with some information- since the bricks of the buildings are made of the sand from the desert and mud mixed together, the colour is golden. The fort is magnificent in the day light and turns into completely gorgeous by the time night arrives and lightings are done. 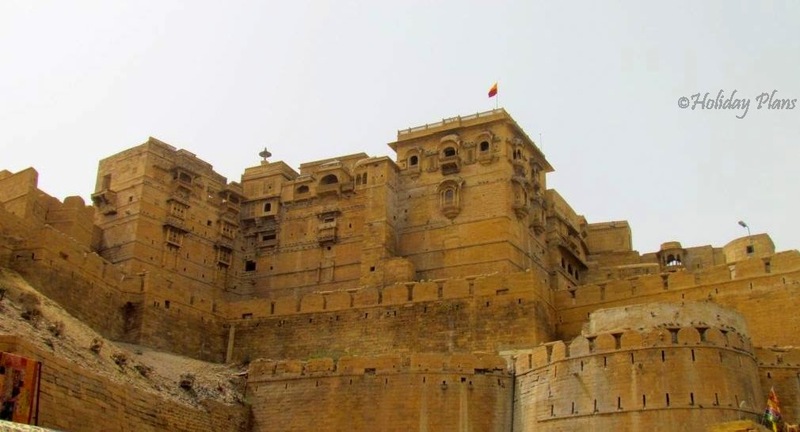 Now going by historical facts, this fort was built in 1156AD by Rajput ruler Rawal Jaisal ( hence the name of the city Jaisalmer). It stands as one of the largest fortifications in the world till date and has been given the status of a “World Heritage Site” by UNESCO. 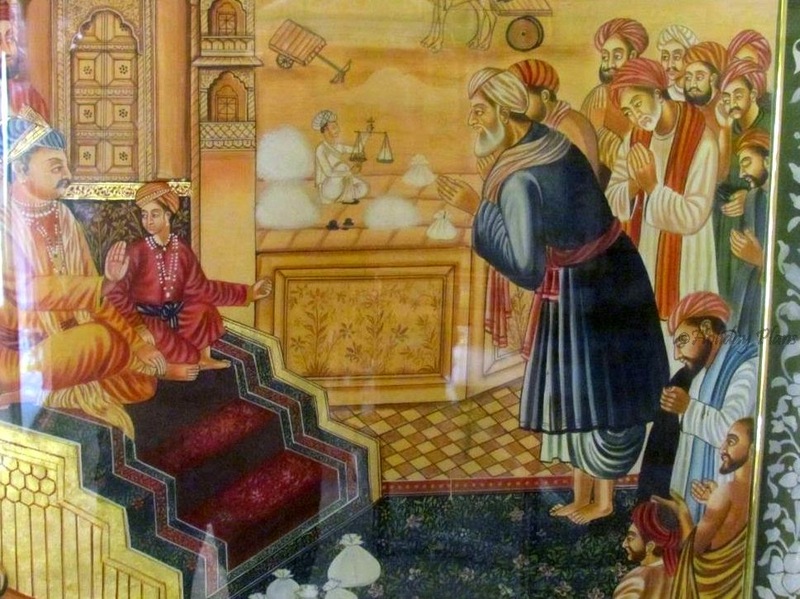 What separates it from the other forts of Rajasthan is that it is still a residential fort (which is why There is no entry fee for the fort and it is open 24 hours). Yes, people actually live in the fort and have their own shops, restaurant etc. to earn their living. The major attractions of the Fort are the : Laxminath Temple, Canon Point and the gateways. We went up to the point where the canons were situated which used to come useful in case of any threat to the fort. 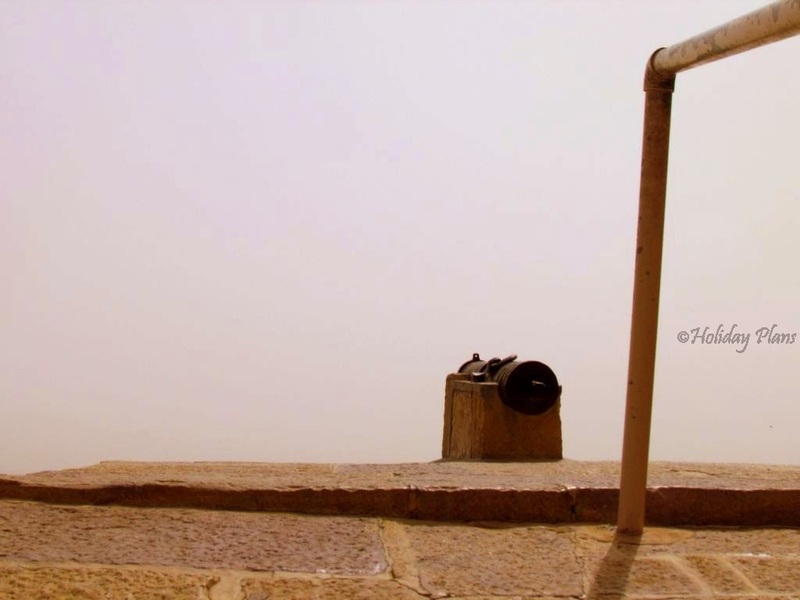 The view of the city and the desert far away was just unparalleled. I haven’t seen a land as barren as from there and it wasn’t that I was expecting a normal country side , but still the view was a beautiful in its own way. 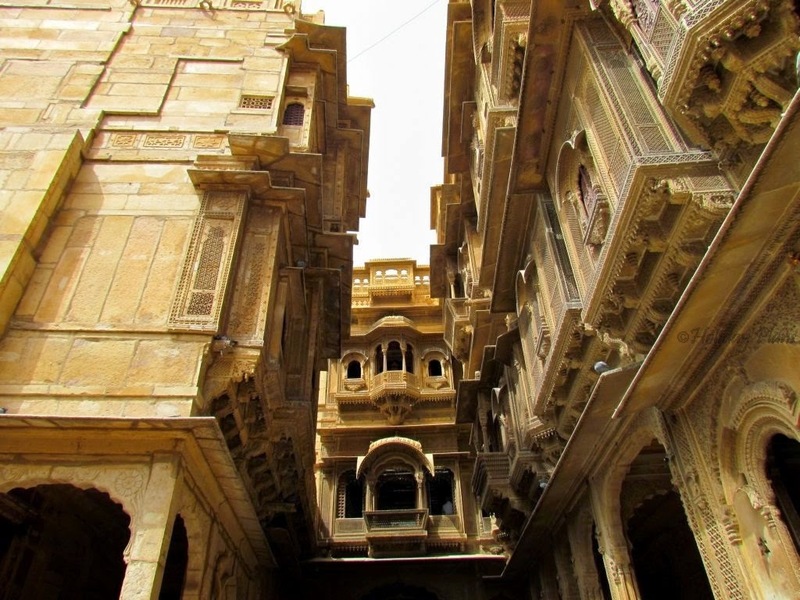 Our next stop was the very famous “Patwaon ki Haveli” , commonly known as the Havelis of Jaisalmer. 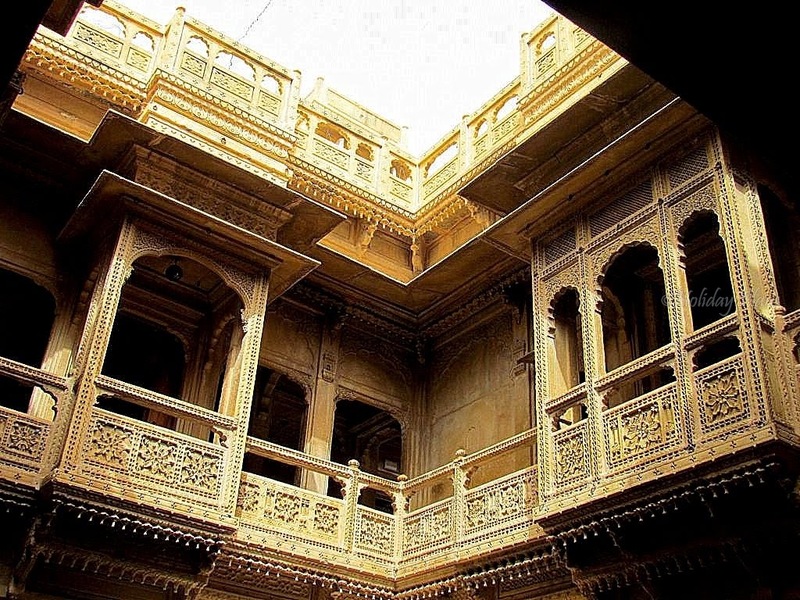 It is just not a single haveli , but a cluster of 5 small havelis , interconnected to each other. It is indeed one gem of architecture! 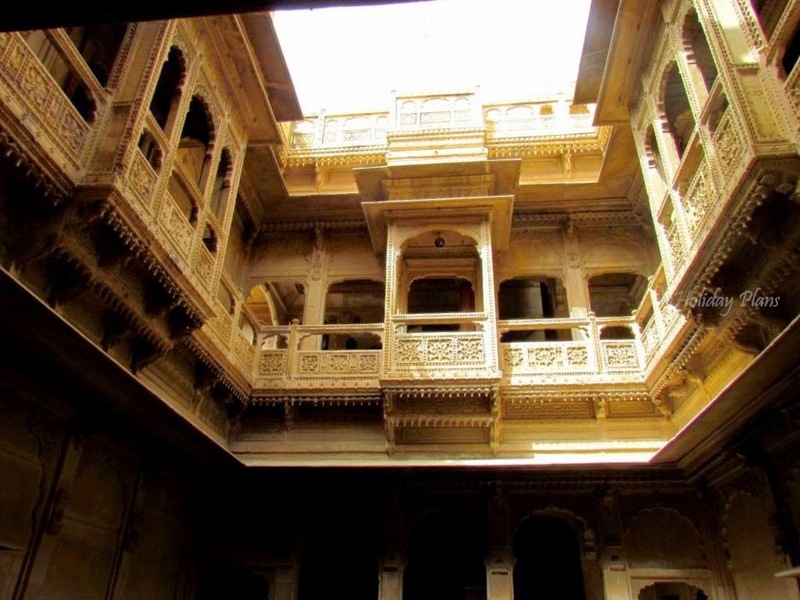 It was built in 1805 AD and was the first haveli to be built in Jaisalmer. There are gorgeous carvings made on the walls , and this is not the only amazing thing here. 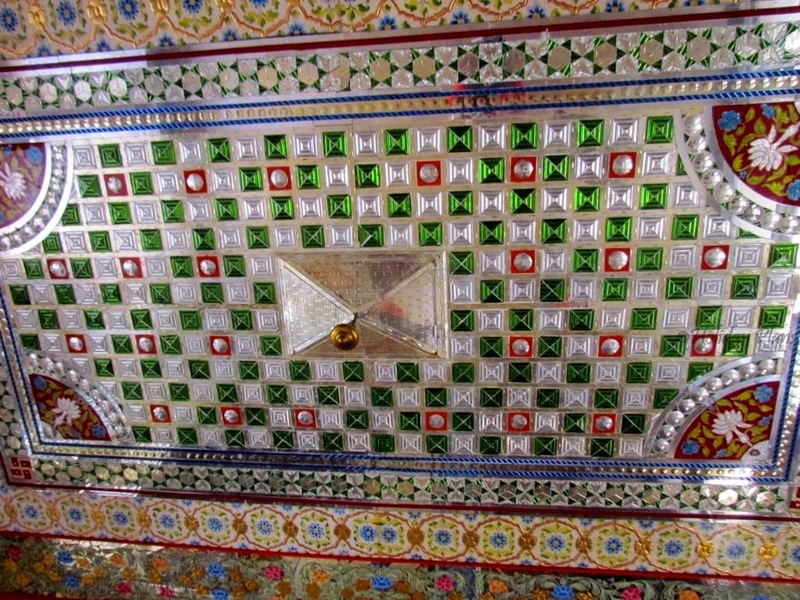 The wall paintings and the mirror work are equally amazing too. Entry fees is Rs. 10-20 for Indians and the timings are 8am -6pm. 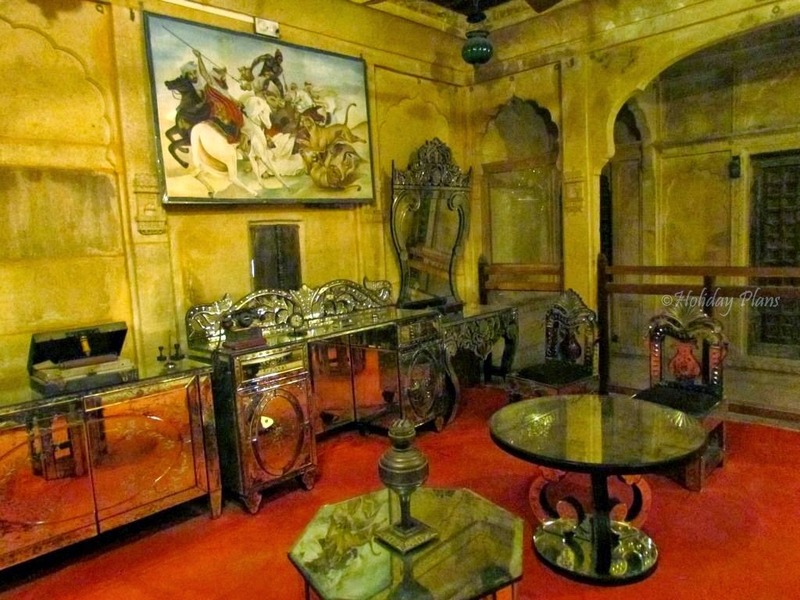 The haveli also houses various things that date back to 19th century and which were used by the people at that time. It was not just any other museum/haveli here because the detail to which things were carved is unique! It was almost lunchtime then, and we needed to feed something to our bellies. I was in mood to try out the various local cuisines of the place. We had Besan ke gatte along with Bajre ki Roti. They were just awesome! Also we tried Pyaaz ki Kachori and Mirchi ke Pakode! After having a sumptuous lunch we were headed towards our next and final stop for the day , The Gadsisar Lake or Gadsisar Sagar. Being in a town that is famous for its desert , imagining a lake here is almost impossible for me. Only when I found out on internet I believed that this town too has a lake! It was built in the 14th century and at that time was the only source of drinking water in the locality. 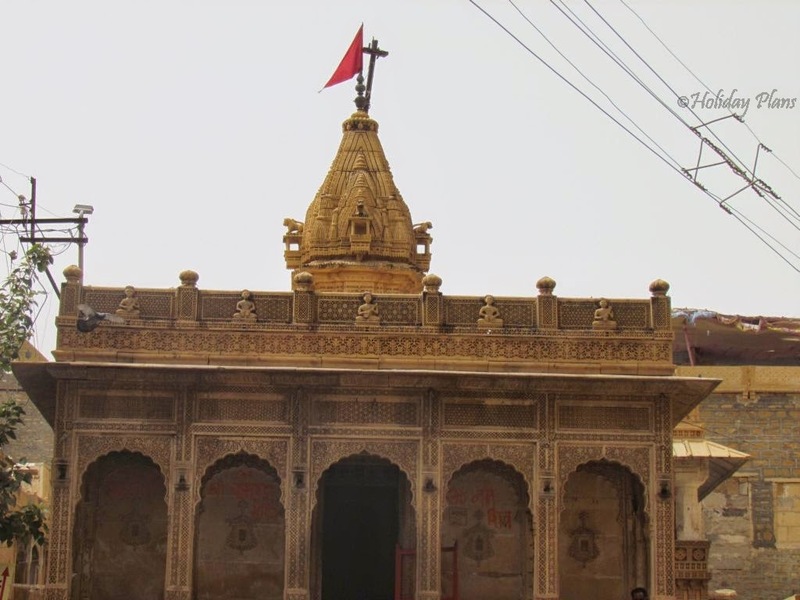 Now it has been developed as a tourist spot and a few temples have been built around it too. We parked our car and had to walk some 200 mtrs to reach the lake. 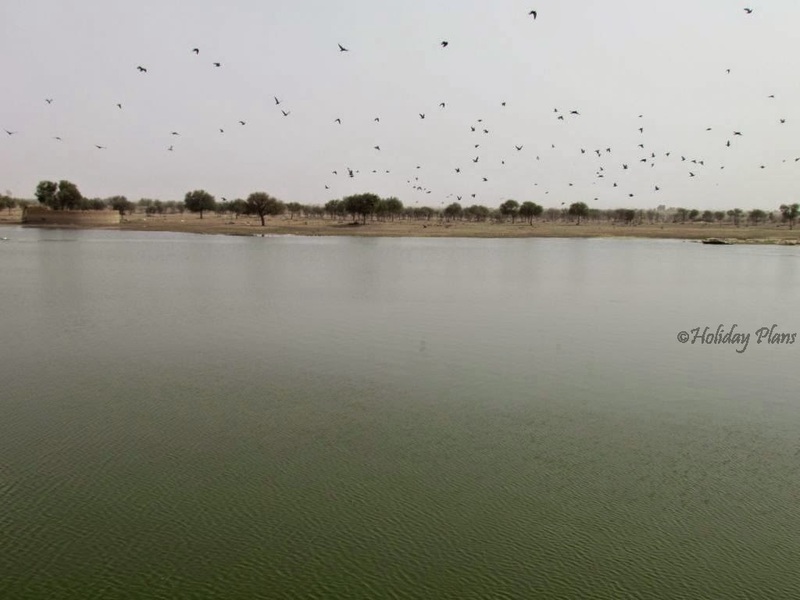 The view of a clean water body amidst the desert is a totally unique experience. But there I was right in front of it! Although it is not as developed or not as big as the lakes of Udaipur , yet the presence a water-body in the form of this lake in those circumstances is quite a miracle. There is a provision of boating in the lake. Feeding the fishes in the lake was real fun. We went upto a Chhatri made in the lake and sat there gazing upon the water below and the desert in the far background. 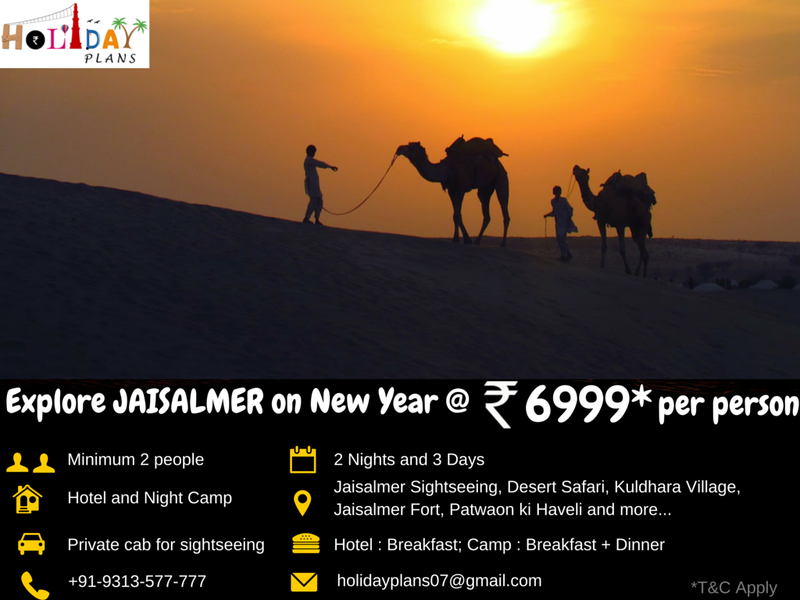 To book a customised tour to Jaisalmer, feel free to get in touch with us. Stay connected for next article. 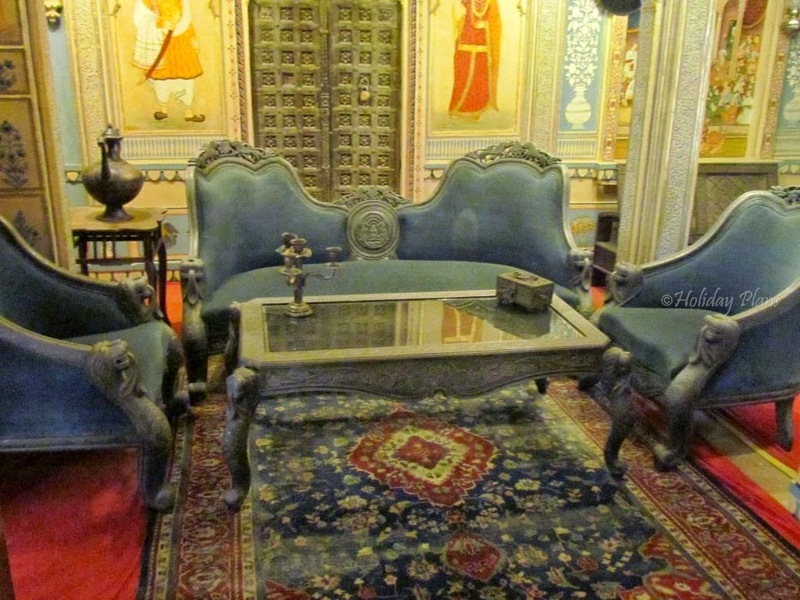 Thanks for reading and check out more pics of Haveli and Fort in the Gallery. 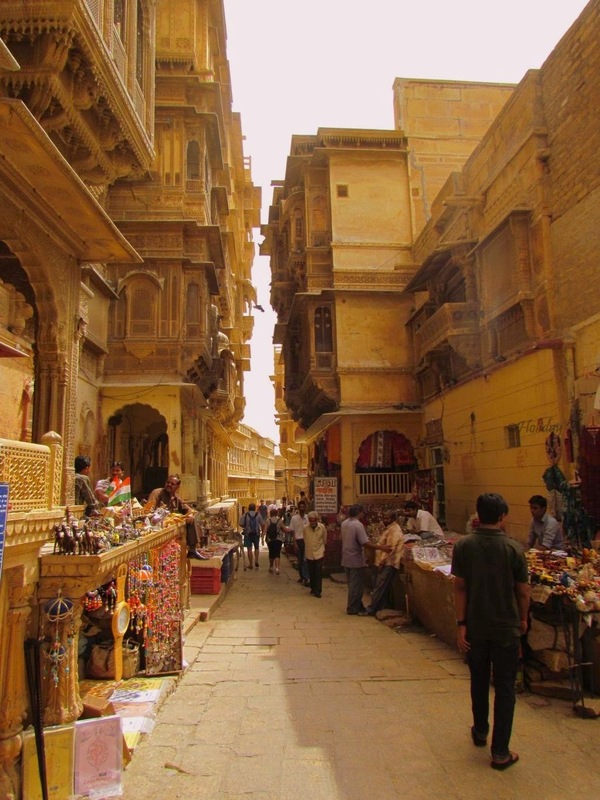 Jaisalmer. As soon as the name is heard, a royalness comes in the mind. 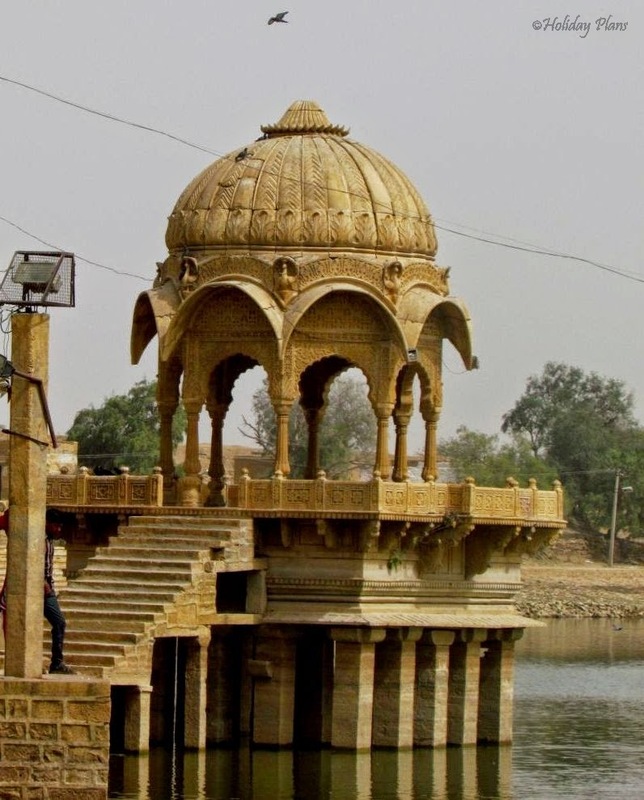 From the chhatris to gadsisar lake, everything is there to beat the heat. 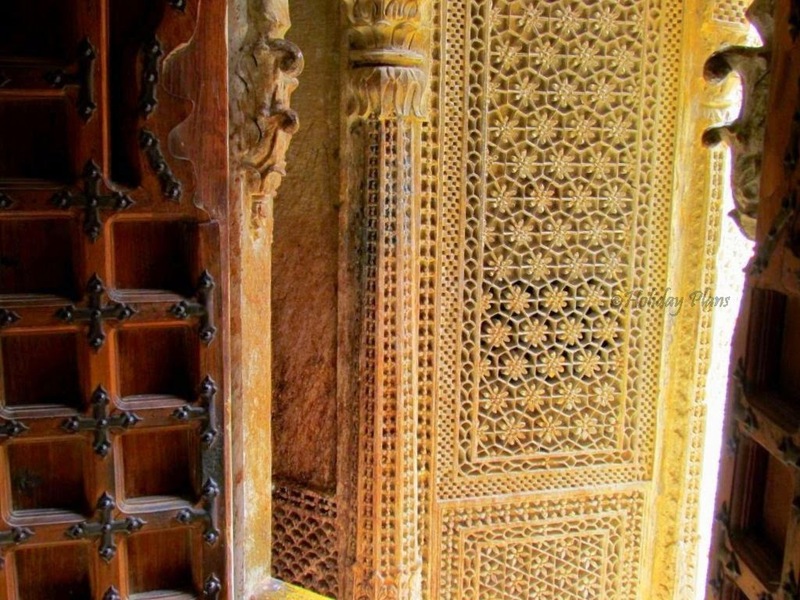 The culture, the intricate wall designing, and the colours used are all the finest. 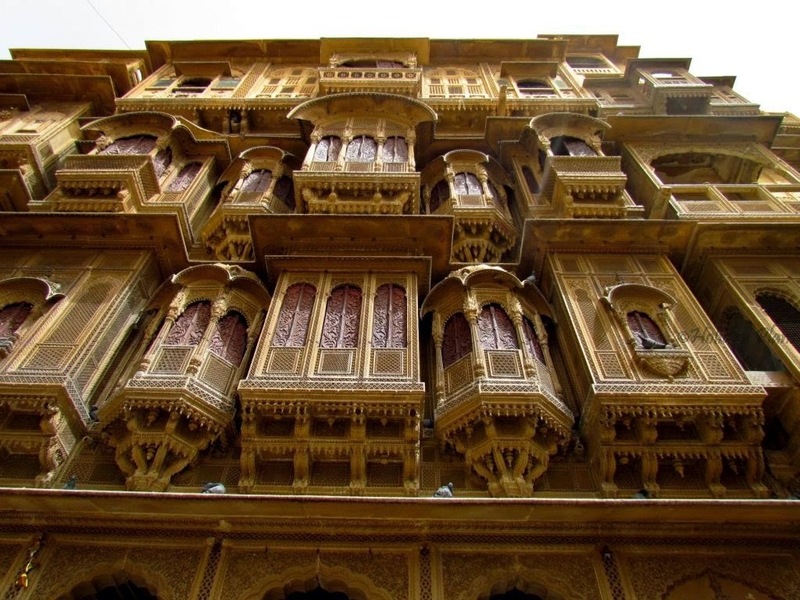 A flawless article had been written justifying the flawlessness of Jaisalmer. Well done. Its been such a long time i visited rajasthan and reading this article just made me all the more nostalgic!!! 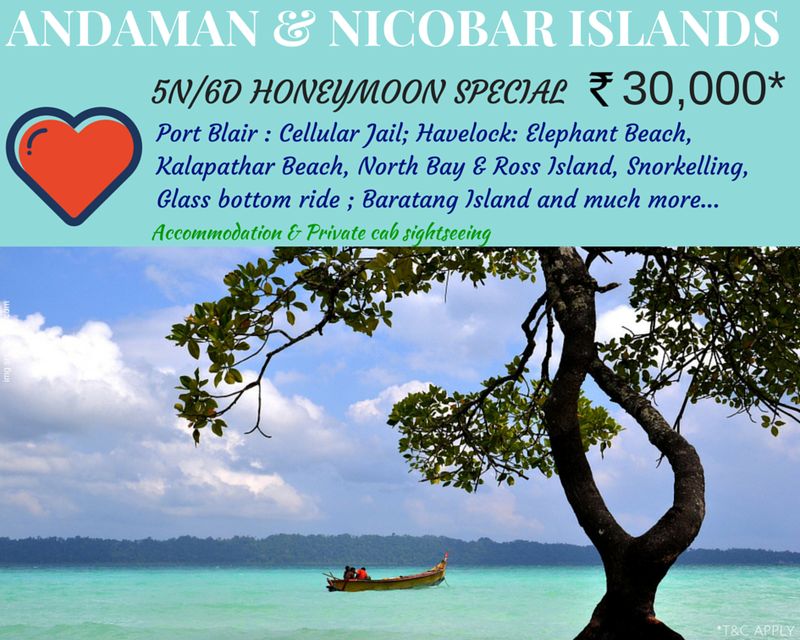 Amazing pics holiday plans!